Are you on the brink of a special occasion? In need of catering for that big event? You have come to the right place. 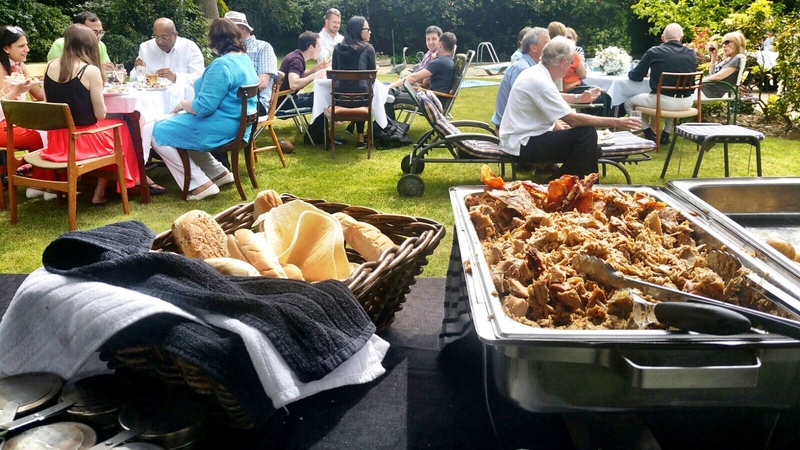 With Hog Roast Carmarthen, we can help you give your guests the most wonderful yet hassle-free feast. We will provide everything you need as part of excellent hog roast machine hire packages. It doesn’t matter whether you need to feed six, sixty or six hundred people – we can help you! With more than 10 years in the hog roasting business, and a wealth of satisfied customers, we are able to ensure you that we all know what we are doing when it comes to this industry. Our previous customers include those hosting parties both big and small. If you want great value food, that tastes incredible, then we really would be thrilled to help you and add you to our long list of satisfied customers. We understand that party organisation takes hard work, so let us at least take the stress from planning your event food. 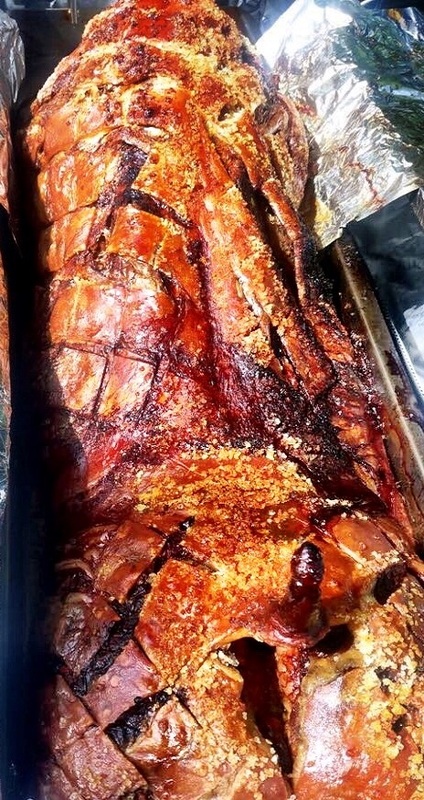 For those who are ready to serve up hog roast meat as part of their event menu, Hog Roast Carmarthen are experts in hog roasting and the events industry, able to provide all you need whether you are catering a business event, birthday party or wedding reception. Get together your nearest and dearest and give them something delicious to remember with our outstanding catering service. If you’re looking for a local based business that is passionate about being able to provide excellent professional quality food with fantastic staff to sort it all for you, then look no further than Hog Roast Carmarthen! Here at Hog Roast Carmarthen we could not be prouder to be able to work in this town, meet some of the amazing people who live here and be involved in some of the most important, special and memorable days of their lives. 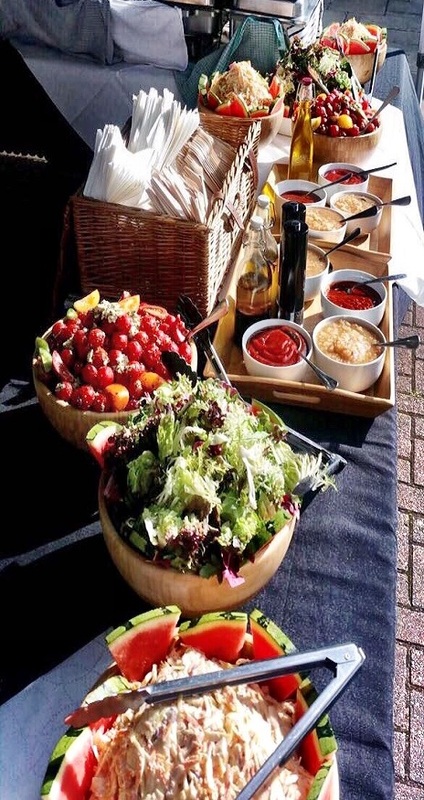 Since we started operating our catering business in the exciting Carmarthen area we have been overwhelmed with the sheer amount of great events we have been able to cater for. 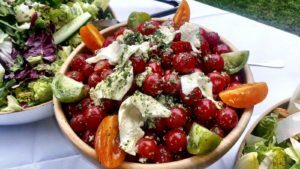 We have provided some incredibly tasty food for the likes of weddings, private parties, birthday and anniversary celebrations as well as a couple of more unique occasions. 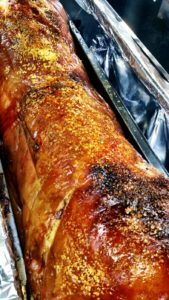 Can you think of anything better than enjoying a mouth-watering feast of slowly roasted pork meat, sandwiched into a freshly baked bread roll with heaps of homemade apple sauce and lashings of stuffing at your special day in Carmarthen? Not only do our hog roasts make for a delightful meal for you and your guests but they are also brilliant at providing your guests with a unique and memorable dining experience. Our traditional cooking method makes for a fantastic talking point and looks impressive at events of all kinds. If you choose a hog roast with us, we will come with everything you need to hold your own hog roast dinner. We can bring: the hog roast machine, the required cooking gas, even the whole hog. We will attend your venue, set up, instruct you on how to use the machines and return to pick up your machine when done. Get in touch with us today to discuss your exact requirements.